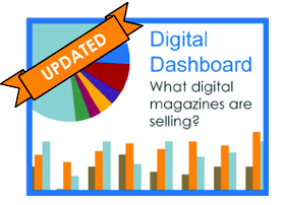 Do you have a system for selling current issues of your magazine online? Are you satisfied with the sale of your back issues? Are copies fulfilled internally, from your fulfillment house or a through a turn-key program, like MagImpulse? If yes, great! You’re satisfying a small group of dedicated people who know exactly what they want. But what about those who are not familiar with your content or don’t want to commit yet to a subscription or membership package? The traditional brick-n-mortar newsstands used to fulfill this customer, however, how do they find you when these retailers are declining in numbers? When we ask publishers how many copies they sell of back issues, they invariably say a small number. That’s when we get excited, because that trickle of revenue can easily be transformed into a growing revenue stream and a lead generation source. No fancy artwork needed, use your covers to sell! Add a “Buy This Issue” button on or near those covers already on your website, and link the button it to an order page. Include a “Buy This Issue” button, linked to an order page, when content is featured on social media and enewsletters. Acquire email and postal addresses with each sale, an internal selling point when discussing these changes with your webmasters. It’s more than a sale, it's lead generation for a larger purchase! Have a place, as we do on MagImpulse’s order page, where the cover can be blown up. Nothing sells single copy like the cover. Make it big and visible. Offer a back issue catalog at the same time they are buying the current issue, like MagImpulse does. Remember customers are mobile; 41% of our MagImpulse sales in December were from mobile and 50% of all payments from PayPal. MagImpulse includes a “Checkout with PayPal “option which simplifies ordering for desktop and mobile users by prepopulating both the address and payment information just by logging into their Paypal account. If you aren’t already actively selling single copy sales online or you wish to improve your current system find out how MagImpulse provides a turnkey platform from order through fulfillment for single copy sales.